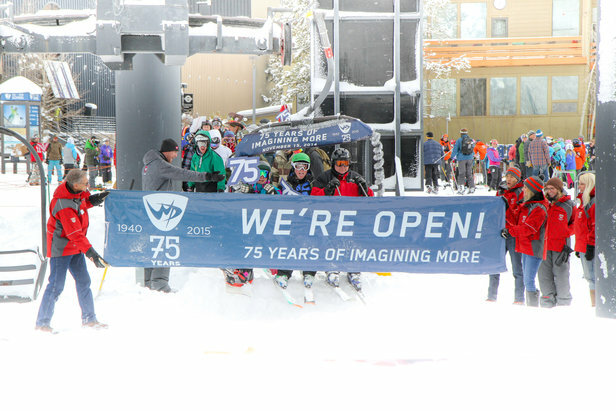 First chair on opening day in Winter Park, Nov. 15, 2014, launches 75th anniversary. Snow falling, and freshies on corduroy. There’s no better way to inaugurate a milestone ski season. With a boon of natural snow in the week before lifts started up, Winter Park Resort launched their 75th anniversary season with crowds that exceeded expectations. From their original rope tows, the Colorado resort has grown to one of the state’s prized destination resorts. Skiers and riders enjoy opening day freshies Nov. 15, 2014 at Winter Park Resort. Opening weekend for the milestone season launched in stellar style although unseasonably warm weather earlier threatened to derail plans. Resort officials bumped opening day from Wednesday to Saturday, Nov. 15, 2014, in hopes of picking up snow. “It couldn’t have worked out better,” says Steve Hurlbert, spokesperson for the resort. 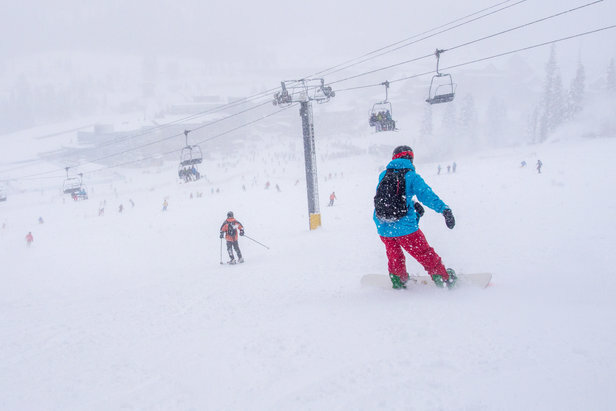 During the week, a storm unleashed 42 inches of snow on the slopes. That allowed opening weekend visitors to be treated to real snow rather than machine-produced hard pack. Winter Park's original two rope tows in its early years of the 1940s. 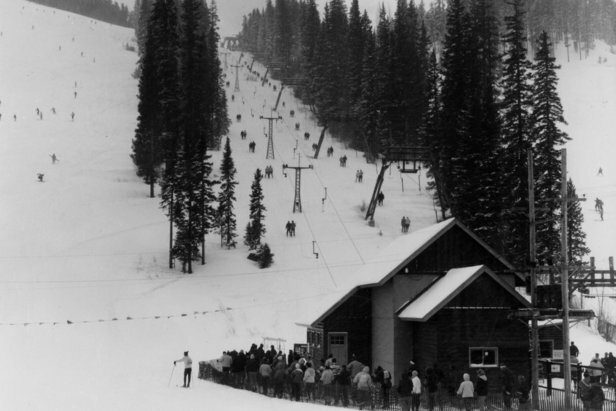 That opening weekend launched the 75th anniversary season for Winter Park. While anniversary plans extend into season-long celebrations, the actual birth of Winter Park started in the days of leather ski boots, cable and leather bindings, and wooden skis. On January 28, 1940, the ski area opened with two rope tows and three trails, owned and operated by the city and county of Denver. In 2002, Denver gave management of the operations to Intrawest, a Canadian-based company. Until 2009, skiers rode the Ski Train from the city through the Moffat Tunnel to reach the lifts. Today, Winter Park Resort has grown into seven territories that stretch across 3,081 acres dropping with 143 named trails. Over the years, the two rope tows gave way to 25 lifts that include two high-speed six-packs, seven high-speed express quads and the Village Cabriolet. 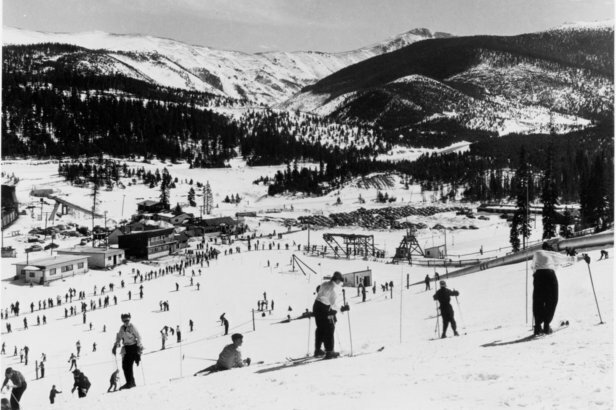 Hurlbert says that Winter Park is Colorado’s oldest continually operated ski resort. Over the years, it has garnered a loyal local and destination crowd. “Winter Park Resort has long been known for its welcoming atmosphere and family-friendliness, which has kept people coming back for generations,” he notes. Skiers wear leather ski boots and wooden skis at Winter Park in its early years of the 1940s. While a gala anniversary celebration will take place January 24, 2015, one of the biggest highlights to celebrate the 75th season will be the opening of Lunch Rock Restaurant. 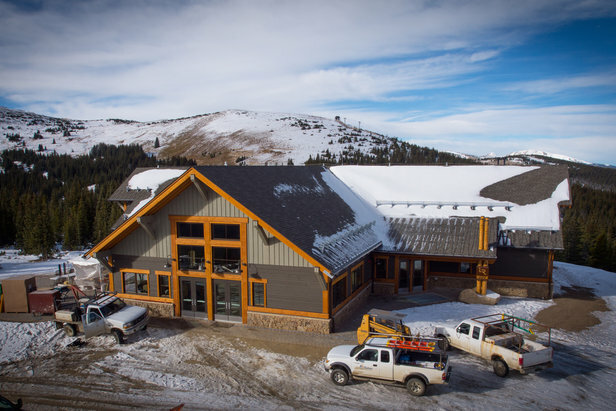 The $8 million restaurant is the largest on-mountain new construction project in more than two decades. Construction began last spring with removal of the 30-year-old Lunch Rock building. Accessed at a nexus of several lifts, the new 16,000-square-foot restaurant sits at 11,000 feet at the top of Mary Jane Territory. Views through the huge windows overlook the Continental Divide and the Fraser Valley. An outside deck that seats 150 gives sun-fans a place to soak up rays. Indoor seating accommodates 250 diners and 28 people in the bar. Constructed of steel, wood and stone, the mountain lodge features pine beetle killed wood plus energy and water conservation. “We are super excited about the new Lunch Rock Restaurant,” says Hurlbert. “The menu is still being finalized, but everything will have a Colorado theme, including Colorado-sourced food items and an array of Colorado craft beers.” To go with the namesake location known for bump and glade runs, Mary Jane Ale—a New Belgium Brewery beer—will be one of the headliner brews in the restaurant as well as elsewhere in the resort. New Lunch Rock Restaurant under construction this fall at the summit of Mary Jane. 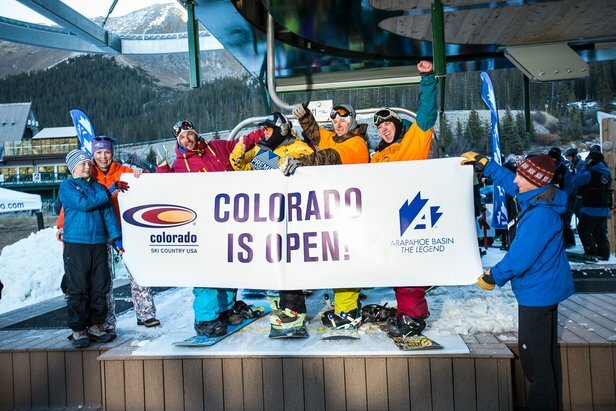 Our 10 fave Arapahoe Basin opening day photos.